U.N. official says there are no precise figures on the number of refugees allowed to enter. Lebanon has all but closed its borders to refugees fleeing Syria’s civil war, overwhelmed by an influx of more than 1 million people displaced by fighting, U.N. and Lebanese officials said Saturday. He said exceptions were available for refugees for “humanitarian reasons” to be judged by Lebanon’s social affairs and interior ministries. “We informed [the U.N. refugee agency] UNHCR that we are no longer able to receive displaced people,” he added. Ninette Kelley, UNHCR’s representative in Lebanon, confirmed increased restrictions at the border with Syria. “Our understanding is that people who are coming to claim refugee status are not being permitted to enter in the way that they were previously,” she told AFP. Kelley said there were no precise figures on the number of refugees allowed to enter. Kelley said some refugees were still entering under the humanitarian criteria, which the government has yet to publicly explain or share with UNHCR. She said the restrictions started on Lebanon’s northern border in August and were extended to the main official border crossing, Masnaa, on its eastern frontier in September. Not all Syrian refugees enter Lebanon through the official crossings, however, with many traversing the porous and difficult-to-patrol border area. Lebanon is already hosting more than 1.1 million Syrian refugees, an enormous strain for a country with a population of just 4 million. The influx has tested the country’s overstretched infrastructure and created fresh tensions. Lebanese politicians have long warned that the country cannot continue to shoulder such a disproportionate refugee burden and calls for the closure of the border have increased after numerous security incidents. In August, Syrian militant groups crossed into the eastern Lebanese border town of Arsal, sparking clashes with the military that left dozens dead. The retreating militants took with them some 30 Lebanese police and troops as hostages, and have since executed three. 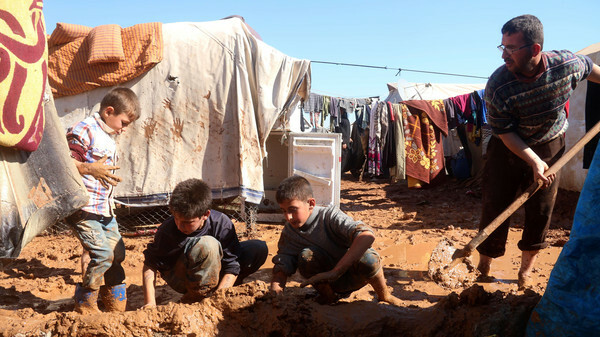 UNHCR has regularly urged the international community to provide Lebanon with greater assistance to tackle the influx. The agency has also called on other countries to open their doors to fleeing Syrians to ease the burden on Lebanon and other neighboring states. 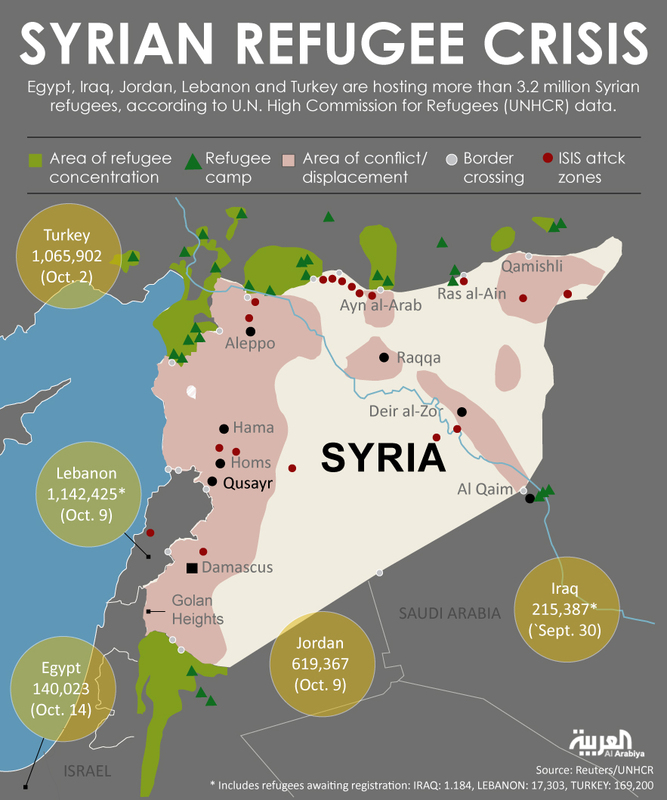 More than 3 million Syrians have fled their country since the uprising that began in March 2011, with most taking shelter in Lebanon, Jordan, Turkey and Iraq.